little ones in between and plenty of star gazing and star wishing to be done between now and then! 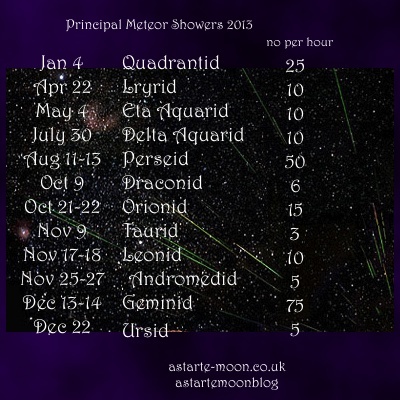 I've added the number of meteors per hour so you can see which are the bigger showers. 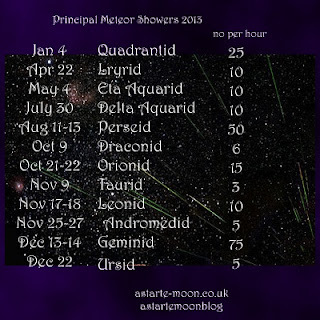 The information is fromhttp://www.almanac.com/content/meteor-showers-guidewhich is a great site for all sorts of things.